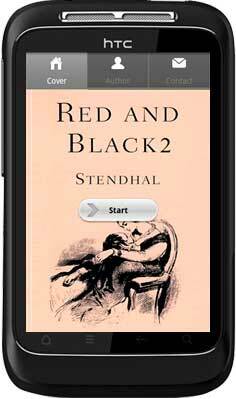 Following the part 1 of Red and Black, we set to publish the part 2 app for Android-powered devices readers. This Red and Black part 2 app following on the part 1 continues to tell stories about the people in that period. It can be installed like other Android apps. 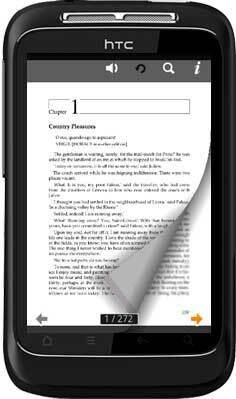 Comparing with the other bookshelf apps, this standalone book app can be installed or un-installed more easily and nimbly. Not only that, the stunning flipping effect and digital functionalities such as index, search, cover, etc improve the combination between author and readers. Please view below screenshots of Red and Black 2 which has been installed and ran in Android devices. 1. The standard cover of Red and Black -2. 3. 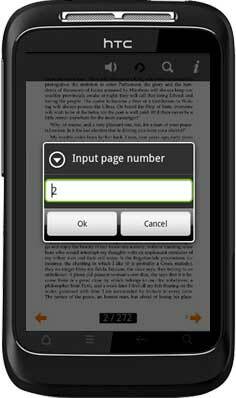 Entering page number quick locates to the specific chapter you want to reach right now. 4. 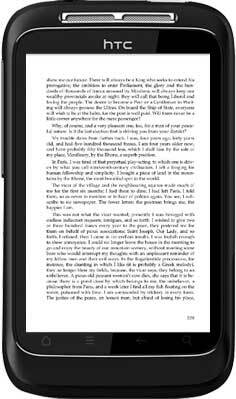 Full screen effect enables you read more clearly.